We offer two different services. 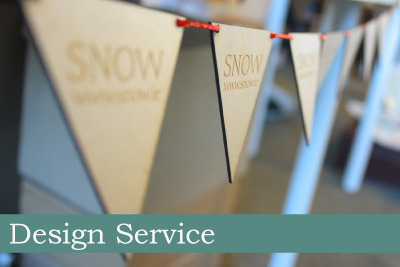 A lasercutting service and and a design service. Please find more details of these below. We use two 40 watt Epilog Laser Cutters which have a working area of 600 x 300mm (2ft by 1ft) and can cut and score a very wide range of materials from paper, plastics, wood and much more. · We cut client-generated files in a wide assortment of materials. We can offer assistance/feedback in file prep, but do not offer a full file-generation/design service. If you will need a file made from scratch please see our Design Service. · We do NOT offer a printing service, nor are we able to match cutting/engraving with pre-printed designs. · Need help creating a vector file? There are many good resources online and in bookstores. Online options include Adobe TV, Lynda.com and youtube tutorials. Don't be too overwhelmed, the basics are easy to get a hang of and most laser files only need the basics. · Download our Laser Guidelines PDF for more information on file preperation. · Is your file laid out for max efficiency? · Adjacent cutting lines can be placed as close as 1mm. · Engraving areas should be placed as close to each other as possible. What kind of Materials can be used? · We are unable to cut or engrave MDF, vinyl and PVC. 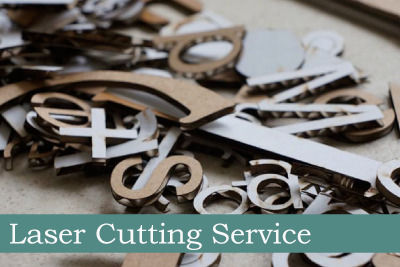 · We can cut almost any kind of paper, card and felt. We can cut most kinds of interior-grade plywood, plastics and leather up to 4mm in thickness. · We can engrave onto almost surface as long as it is flat, pvc-free and fits into our machine. This has included glass, stone, brick, rubber, fabrics and even coffee beans! · We keep the most commonly used materials in stock including an array of paper, card, plywood, and acrylic. You may provide your own materials as well. · If you are providing your own materials it is often necessary to perform a test, so it is necessary to always supply us with slightly more of the material than is needed to complete your order. Can I get a sample or arrange an appointment to learn more? · If you are unsure of what you need to do feel free to send us an email or set up an appointment to stop by our studio. · Please note, as we are a small working studio, we cannot facilitate drop-in visits. Please get in contact ahead of time to book a slot to come and talk to us. · If you need to run a small test before submitting a file the charge starts at €15 which is refundable if you go ahead with your order. What is the pricing structure and turnover time? · Prices are based on a per-minute laser time fee. · Prices for our in-stock materials range from .50c to €8.00 per sheet. · Other fees may apply for filework, sanding, taping, finishing etc. - these will be quoted on a per-job basis before work is begun. · All listed amounts exclude 23% VAT and shipping when applicable. · Once approved small jobs will typically take 2 to 4 days. Larger jobs may take 3 to 10 days. Turnaround times will vary, but we do try to move things along as quick as possible. · Need something even quicker? Big client meeting tomorrow morning? Please get in touch, we do our best to be responsive to the needs of our fellow creative businesses. If we can help, we will. · If you would like us to quote you for a project please provide as much information as possible including material, quantity, and any sample files you might have. · Looking for a phone number? Due to the huge diversity of jobs we take on we find that the best first point of contact is an email. We are unable to give any idea of price, lead time or job feasibility without information about the size, materials and file status - all of which is best presented in an email. Our bespoke design service is geared towards those who need to start a project from scratch, need help creating files, and/or need help realizing their vision. Initial consultations are free with project pricing starting at €250. Sample projects include awards, stationery, corporate gifts, props, cafe accessories, business cards, exclusive retail products and many many more. This service is totally flexible and strives to provide our clients with high-quality bespoke work that responds precisely to their needs. Please note that in order to ensure quality and due to the creative nature of this service we will only commit to a limited number of jobs at any one time. Depending on the schedule of existing projects there will be times when we are unable to take on new work.